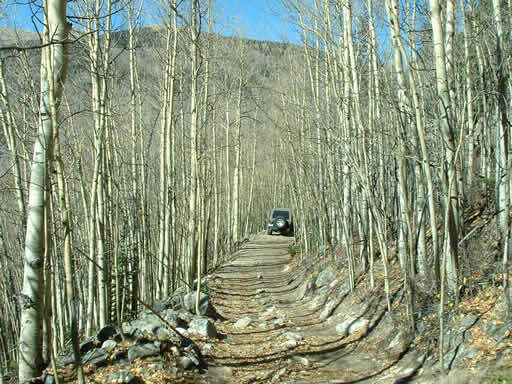 Iron Chest is a very short Jeep trail but it is challenging due to the Rock Garden, a long boulder field near the start of the trail. There are a few buildings remaining at the upper end of the trail. If you have a large group you may want to send someone ahead with a radio to check for oncoming traffic. There are very long sections with no room to pass! 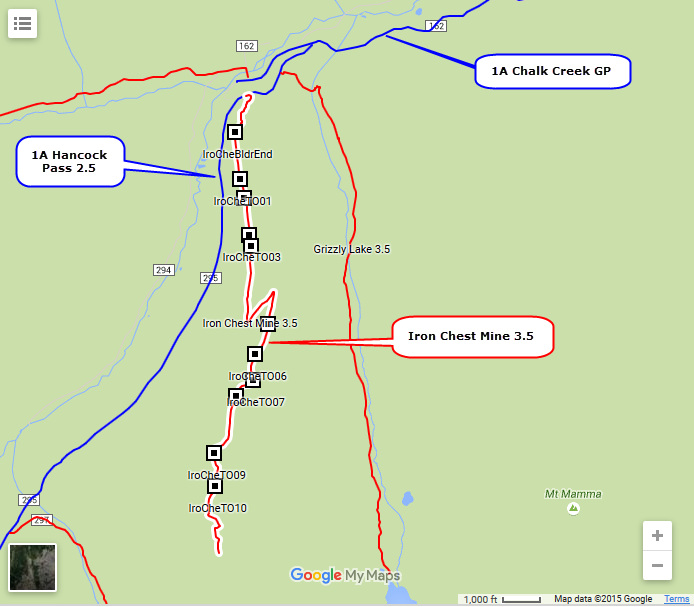 The gpx file for this track has waypoints for the turnouts along the trail - some are very small! These waypoints came in handy when I convinced a person coming uphill (had the right-of-way) to back up 300' because there was a turnout there.